A nice shot of Oulton Broad South Junction, with a freight coming off the line from Lowestoft South Side. The line to Lowestoft South Side closed in 1970. 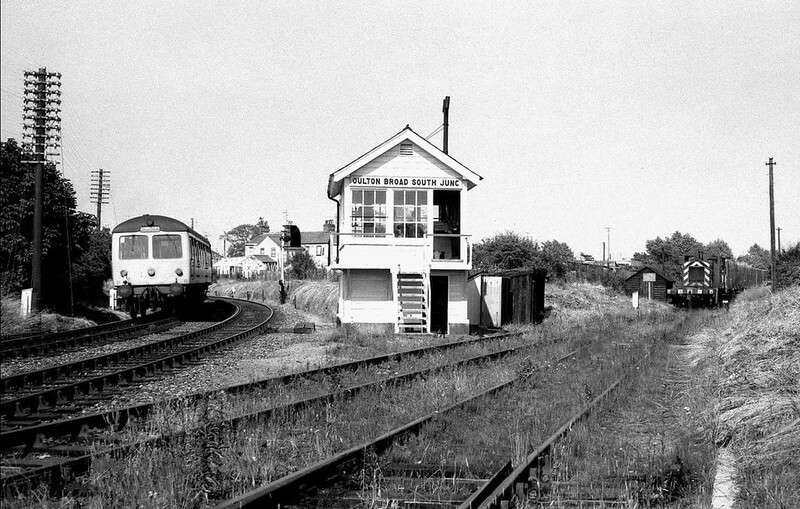 The signal box was abolished on 20th February 1973. Photographer unknown.